In the “Red Zone” of Christchurch New Zealand two years after the devastating earthquake that collapsed the steeple and walls of this church. Christchurch and the “can do” Kiwi’s built this temporary commercial center on the open land created when the building collapsed and were demolished. Creatively they used cargo containers repurposed into stores, offices and restaurants. 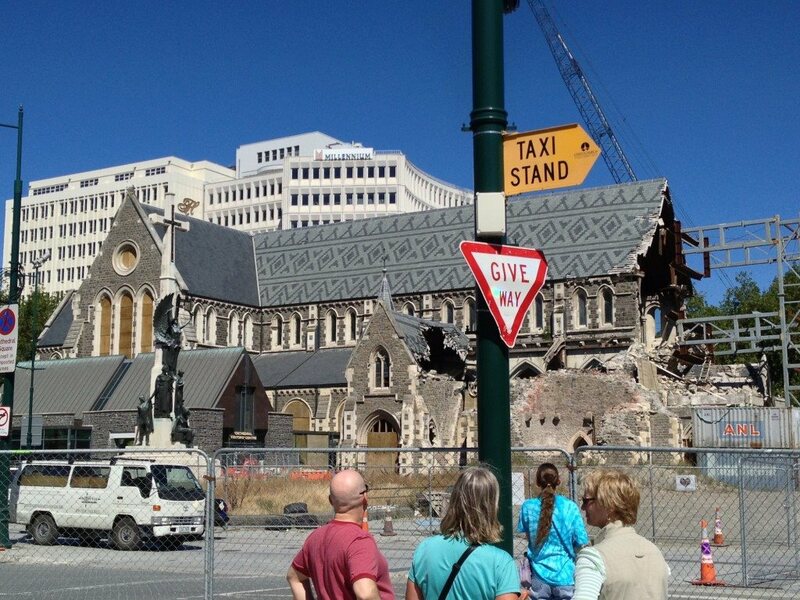 The Church may or may not be rebuilt, but it appears to me that the Kiwi’s are not going to let an earthquake stop them. It will take time but the city of Christchurch will be back. 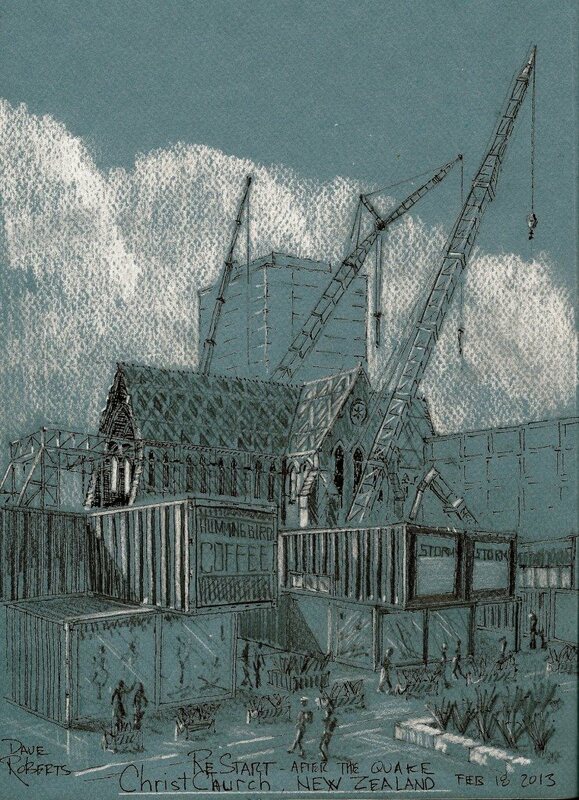 Christchurch and the durable Kiwi’s built this temporary commercial center on the open land created when the building collapsed and were demolished.